Denison is also going on tour with William Fitzsimmons in May & June in the US, so get out to see him play! Angelo De Augustine’s album Spirals of Silence is streaming now via Stereogum. Take a listen! 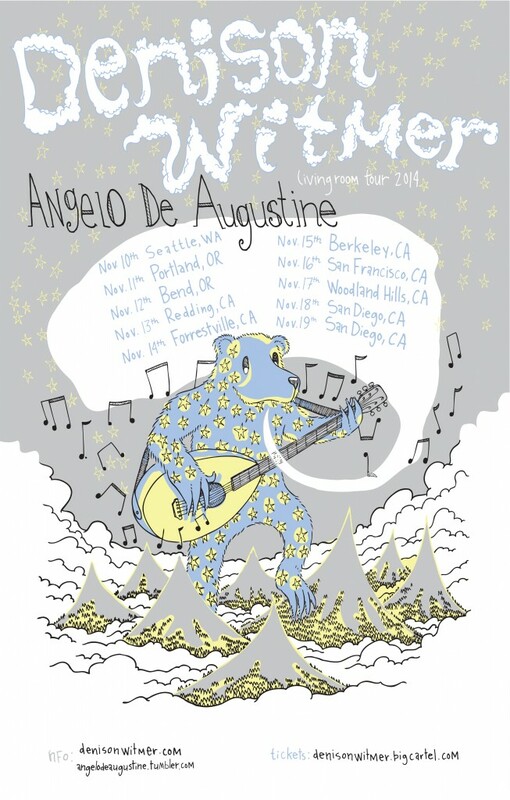 He’s doing a short house tour on the West Coast with Denison Witmer this week, too. All shows with Angelo De Augustine.